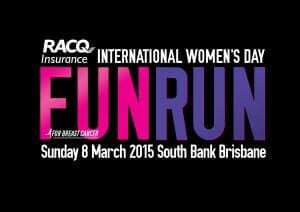 The RACQ International Women’s Day Fun Run transforms Brisbane’s Southbank forecourt into a sea of pink as participants come together to raise funds for Mater Chicks in Pink services and breast cancer research. The event consists of a 5km walk/run followed by celebrations in the finishers village. Event Management Solutions was proud to partner with the Mater Foundation to deliver a memorable experience for participants at this year’s event. EMS Australia’s services included course planning and logistics, timing management, supplier management and more.